Arvixe Review: Arvixe is a top provider of shared web hosting services at affordable rates. We have viewed the demo of their control panel and it's very easy to use. They also offer two different script installers so you have options to install your wordpress blog, phpbb forum, or picture gallery on your website. Arvixe is also a top provider of other hosting services such as VPS, reseller, dedicated, and business web hosting. 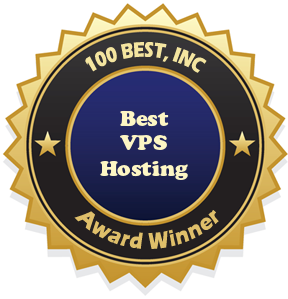 After viewing their VPS system and specs of the plans we've awarded them our Best VPS Hosting award. For $40/month you get 40GB of disk, unlimited transfer, 2 CPU cores, and 1GB of memory. It's a great value for VPS hosting. Their VPS hosting includes the following features: CentOS, WebsitePanelCP, WHM control panel, root access, enom domain account, unlimited number of sites hosted (great for resellers or developers), private DNS, and so much more! Don't settle for shared web hosting when you can have premium hosting with Arvixe VPS hosting services.